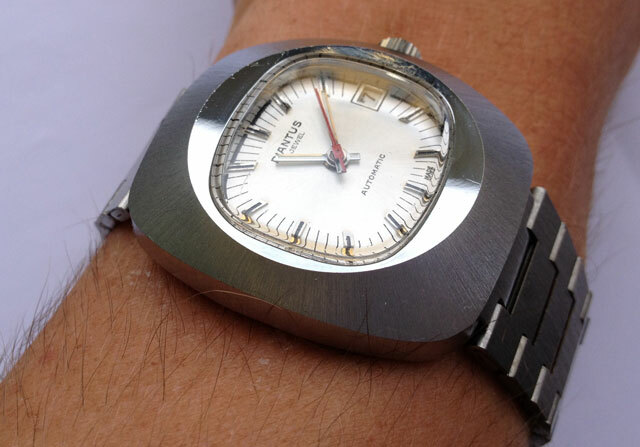 This for me is the ideal 1970’s watch. Contemporary stylish, but at the same time a lot of retro 70’s chic about it. 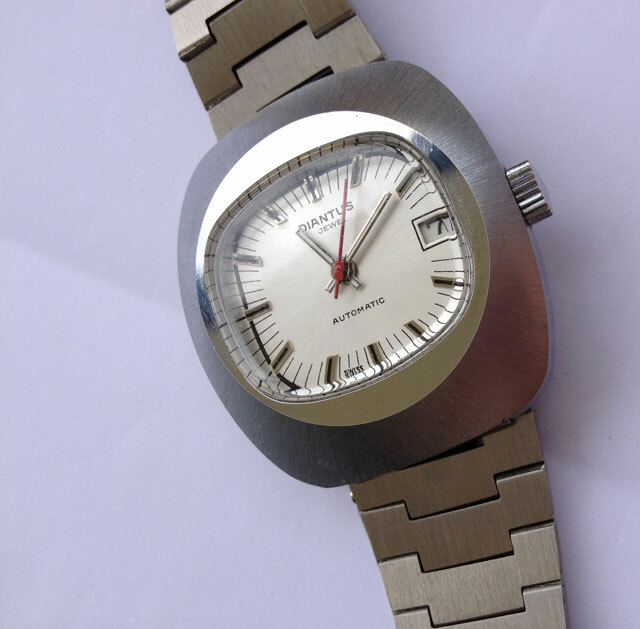 Stainless steel casing, automatic movement, white face, NOS condition, nice metal strap. This is a big watch – definitely a man sized watch this one. Get in quick, this is a cracker.